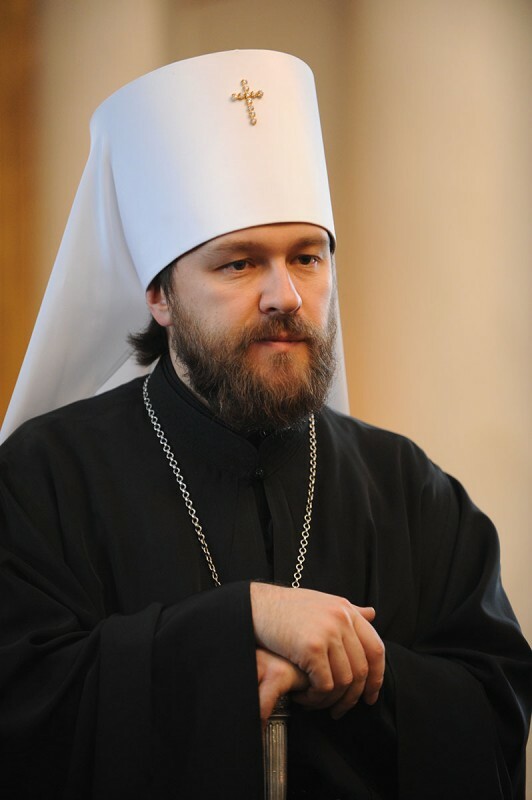 On 8 September 2014, the presentation of the Romanian translation of “Mystery of Faith” and “The Spiritual World of St. Isaac the Syrian”, books by Metropolitan Hilarion of Volokolamsk, chairman of the Moscow Patriarchate’s Department for External Church Relations, took place at the oldest higher education institution in Romania, the Alexandru Ioan Cuza University of Iaşi. Among those who attended the presentation were the Archbishop of Iași, Metropolitan Teofan of Moldova and Bucovina, professors and students of the Theological Faculty of the University of Iaşi, monastics and clergymen. “I would like to thank His Eminence Teofan for the opportunity to present these books and to visit his metropolitanate. During the visit, I have seen a lot of monasteries, met with monks and nuns and for the first time in my life had such vivid impression of this holy land. Probably, the most vivid impression was of the visit to the Neamţ Monastery. While a young man, I used to read about St. Paisius Velichkovsky, about his works as a scholar and a translator. And yesterday I had an opportunity to step over the threshold of his abode and venerate his holy relics.